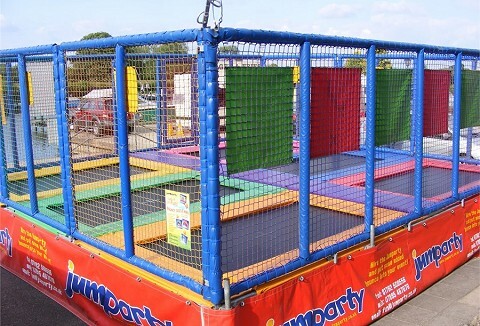 Hire Us for an Added Bounce to Your Party or Event! Fully enclosed six bed trampoline is compact, well-engineered, towable fun machine that folds out on a preformed base to form a secure and weatherproof multi-bed system loved by many people aged 3 to 63! Perfect for fetes, corporate events and weddings.